I have seen a lot of things from the seat of my bicycle. Living in SW Georgia way south of Macon, GA it is a whole different world outside of the Atlanta beltway. I have past this house a few times as I cruise around the neighborhood, but today I circled back to take a picture. 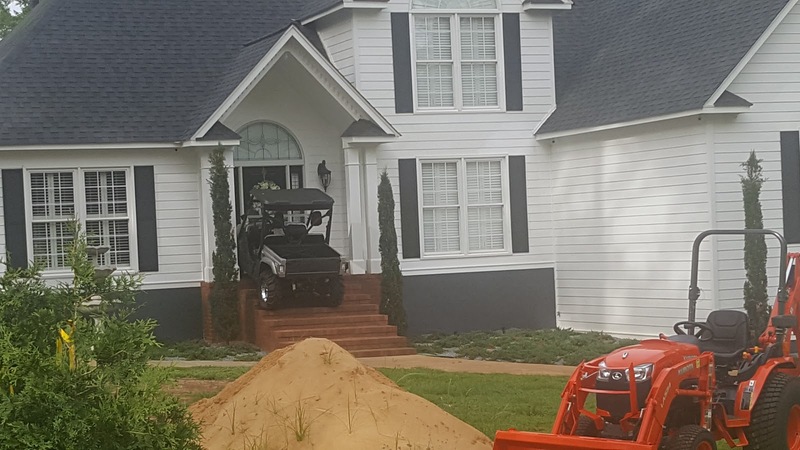 Parking a off road vehicle on the steps.